We are located 90 minutes South of Burlington, Vermont and 90 minutes North of Springfield, Massachusetts. From Points North: Take I-91 South to Exit 8, Ascutney. Right onto Route 131 West. Follow Route 131 for 7 miles to Downers Four Corners, then turn left onto Route 106 South at the blinking traffic light. Follow Route 106 South for 2 miles, then left onto Stoughton Pond Road. The campground will be on left after 1 mile. From Points South: Take I-91 North to Exit 7, Springfield. Follow Route 11 West through the town of Springfield for 7 miles, then turn right onto Route 106 North for 3 miles through Perkinsville Village, then turn right onto Stoughton Pond Road. The campground will be on left after 1 mile. Harpoon Brewery was founded in 1986 by beer lovers who wanted more quality choices. It all started in warehouse space on the Boston waterfront, where they began introducing fresh, local craft beer to Boston drinkers. From that warehouse, surrounded by fish companies on the docks of South Boston, the founders couldn’t imagine that craft brewing would become what it is today. They still remember their days on the other side of the bar, and have spent as much time spreading the joy of beer drinking while focused on recipes, ingredients, and brewing equipment. That sense of gratitude is reflected in both the quality of the beer and the spirit of fun and enjoyment surrounding the Harpoon brand. Visits are welcome at their beautiful brewery in Windsor, Vermont. King Arthur Flour is America’s oldest flour company, founded in Boston in 1790 to provide pure, high-quality flour for residents of the newly formed United States. More than 220 years later, it is located in Vermont and is the nation’s premier baking resource, offering everything from top-quality baking products to inspiring educational programs – all backed by the passion and commitment of dedicated employee-owners. Visit the company’s brand new retail store in Norwich, Vermont, where you can also take a class at their stunning new Baking Education Center and watch the bakers at work in the state-of-the-art bakery. The first Simon Pearce glassblowing shop opened in Kilkenny, Ireland in 1971. Twenty-eight years after settling in Vermont, Simon has built a vibrant company of 300 employees. Thirty glassblowers and nine potters create beautiful, innovative pieces with the quality, distinctiveness, character, and feeling that has become his trademark in handmade glass and pottery. The Sugarbush Farm is famous for its excellent waxed cheeses and Pure Vermont Maple Syrup. 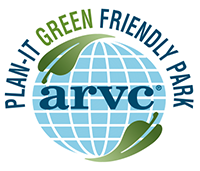 You are invited to visit this 4 season farm attractions located in Central Vermont. Savor the free samples of 14 varieties of cheese, Pure Vermont Maple Syrup and Vermont made foods. You can learn about maple syrup making with the sugar house tour, walk the nature trail to see the sugar maple trees, make friends with the farm animals, visit with real farmers and enjoy the lovely views. The Vermont Flannel Company is a family-owned business working with a committed team of employees, hand-cutting and sewing Vermont Flannel products in their East Barre, Vermont, location for more than 20 years. The company is dedicated to comfort and feels confident that their dedication is evident in each piece of Vermont Flannel clothing that it sews. They personally oversee the fabrication of each product to guarantee that the quality meets their high standards, sewing products with more stitches per inch and bar tack all products at stress points for added strength. Vermont Flannel is dedicated to comfort and quality, and that’s why it remains committed to making their products in the U.S.A.
Back in 1850, a Vermonter by the name of J.M. Billings was said to have unearthed a sizable chunk of soapstone while tilling his field on the side of Hawks Mountain. According to Perkinsville history, this little by-chance incident marked the debut of soapstone. Not long after J.M.’s discovery, some industrious Vermonters began mining and milling this unusually smooth gray stone from local quarries they owned. Back then, the stone was mainly used to make bed warmers, boot dryers, heat registers, griddles and wood burning stoves. Today, many useful soapstone items can be found in upscale American homes. Sinks, counter tops and fireplaces. Steps, floors, shower stalls and more. The Vermont Soapstone Company loves it when people stop by to see their craftspeople at work. If you would like to drop in for a visit, it would be great if you would call in advance to set up an appointment. The American Precision Museum preserves the heritage of the mechanical arts, celebrates the ingenuity of our mechanical forebears, and explores the effects of their work on our everyday lives. Housed in the original Robbins & Lawrence Armory, the museum now holds the largest collection of historically significant machine tools in the nation. Precision manufacturing touches us all. Without it, we would not have the mass communication, rapid transportation, modern standards of sanitation and medical care, abundant food and clothing, or the leisure for universal education. The tools and the methods which make mass production possible were pioneered at the Robbins & Lawrence Armory in Windsor, Vermont. Using precision metal and wood cutting machines and high standards of accuracy, Robbins & Lawrence proved the effectiveness of a new type of manufacturing that would soon be known as the American System. Across America, a powerful machine tool industry grew up, flourishing especially in New England and the northern Midwest. Today, even in the age of plastics and microprocessors, the concept of precision manufacturing provides the foundation for modern industry around the world. Explore one of the finest operating dairy farms in America and a museum of Vermont’s rural past – your gateway to Vermont’s rural heritage. Billings Farm features many aspects of farm work, including care of the Jersey cows and other livestock, milking of the herd, crop rotation, and feed production. Get to know the farm’s Jerseys, sheep, horses, oxen, and chickens through interactive programs and activities. Explore the barns and calf nursery and watch the afternoon milking of the herd. You will experience a first-hand sampling of actual farm work, animals, and agricultural processes. The authentically restored 1890 Farm House, the center of the farm and forestry operation a century ago – features the farm manager’s office, family living quarters – and creamery, where butter was produced for market. Interactive programs in the farmhouse interpret 19th century agricultural improvement, butter production, and domestic life. Engaging exhibits housed in 19th century barns depict the annual cycle of rural life and work, as well as the cultural values of Vermont farm families a century ago. The Montshire Museum of Science is a hands-on museum located in Norwich, Vermont, with more than 125 exhibits relating to the natural and physical sciences, ecology, and technology. The building is located on a 110-acre site near the Connecticut River, and the Museum’s outdoor environment is a large part of the visitor experience. The Montshire Museum’s first home was a former bowling alley. The “new” Montshire opened 15 years later, and has continued to add to its facilities, including the outdoor and water exhibits in Science Park in 2002, and the Hughes Pavilion in 2010. The Montshire is now one of the busiest museums in northern New England, typically attracting more than 150,000 visitors annually. The Museum’s school programs also reach more than 20,000 schoolchildren in New Hampshire and Vermont. The Ascutney Trails Association was incorporated as a non-profit organization in January of 1967. Its intended purpose is for the maintenance of present and future trails on Mt. Ascutney, building and maintaining shelters, hunting out special points of interest to which trails may be opened, gathering items of history and anecdotes on the mountain, and publishing a guide book. Mt. Ascutney features four principal hiking trails, three of which are named for the town from which that trail originates: the Weathersfield Trail, the Windsor Trail, the Brownsville Trail, and the Futures Trail. The Branch Brook Road in Amsden provides access to Stoughton Pond Recreation Area via walking trail, Branch Brook Trail access, and access to the Crown Point Road. The Parking area is located one half mile down the Branch Brook Road from Route 131. The parking lot allows visitors access to the Crown Point Road Trail, Branch Brook Trail, and the Branch Brook itself for fishing or exploration. Claremont Cycle Depot is a bike shop with a staff that is knowledgeable and enthusiastic about cycling. 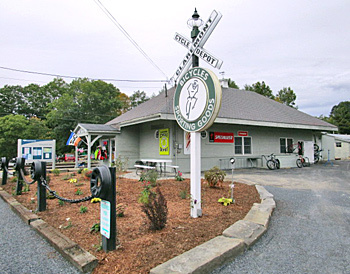 The shop has transformed an historic train station into a true dedicated bike shop, with a goal to offer the community a business that sells high quality bicycles, accessories and service at reasonable prices. It is also a place where all customers are valued and respected, from novice to expert. The shop sells bikes and accessories for cyclists and runners, provides service and repairs, and organizes local rides and community events. Originally formed more than 70 years ago, the Precision Valley Fish and Game Association is an NRA-affiliated sporting organization based in Perkinsville, Vermont. The club’s objective is to maintain and pass on Vermont’s outdoor heritage to future generations. Club facilities include an outdoor range located just north of the Village of Perkinsville on Route 106, and an indoor range at the clubhouse on Reservoir Road. Explore bike trails, urban trails, and walking paths in central Vermont and New Hampshire with TrailLink by the Rails-to-Trails Conservancy. Includes detailed descriptions and maps representing over regional 30 trails. One of the best ways to enjoy summer is getting out onto the local trails, and we’re lucky enough to have many in the area. Nearby, around the Stoughton Pond Recreational area you can find: Sand Hill Trail, Crown Point Road Trail, Branch Brook Trail, and Branch Brook (fishing). The Vermont Institute of Natural Science offers visitors live raptor shows, feeding time tours, raptor enclosures, a natural playground, a songbird aviary, scavenger hunts, nature trails, and an indoor nature nook. The facility is open year round. Of Vermont ski resorts, Bromley offers great ski deals and ski packages for family ski vacations. Bromley offers top skiing and snowboarding for a memorable family ski vacation at a great value. With a vertical drop of 1,334 ft., Bromley has nine lifts: 1 high speed detachable quad, 1 fixed grip quad, 4 double chairs, 1 T-bar, 1 covered star carpet and 1 kids center carpet. Forty-six trails cover 178 of Bromley's 300 acres. There is a variety of skiing terrain for all levels of ability: 32% beginner, 37% intermediate and 31% advanced. Bromley is the only major ski area in new England with a southern exposure, giving its guests sun drenched smiles. Ski Magazine agrees, voting Bromley #1 for Family Programs and #3 for Value in the East! Experience the excitement and adventure of snowmobiling with Killington Vermont’s oldest, largest and most experienced snowmobile tour operator. Killington Snowmobile Tours offers a range of riding that is suited for everyone from the beginner to the most advanced rider. They supply you with the newest high-tech Polaris snowmobiles, helmets and boots. Their snowmobile tours run every snow-covered day! Rising above the village of Ludlow, in south-central Vermont, Okemo Mountain Resort is a four-season playground that built its reputation for quality and superior guest service as a winter retreat for skiers and snowboarders. With 96% snowmaking coverage and consistent top rankings for snow quality amongst the Vermont ski areas, it’s hard to argue that Okemo doesn’t have the best snow in the East. The best part about Okemo is that they listen. Aside from providing guests with the best possible Vermont ski conditions, they are there to serve you – and that is their top priority. Thirty years ago, Tim and Diane Mueller designed Okemo Mountain with their two young children in tow – and it shows! Fast forward to today , and they still maintain one of the best Vermont skiing resorts with that same personal touch. In the summer season, Okemo Valley Golf Club is Vermont’s first heathland-style course. And located just a short drive away is Tater Hill Golf Club, providing the ambiance of a country fram with the quality of a championship course. Killington provides skiers and riders of all ability levels a choice of wide-open groomed cruisers, narrow classic New England runs, moguls steeps and trees all serviced by 22 lifts including two express gondolas. The resort offers multiple terrain features for snowboarders and free skiers in six terrain parks, including The Stash, an all-natural terrain park with more than 50 features, as well as a 500-foot long Superpipe with 18-foot walls. Killington always hosts a jam-packed schedule of bands, festivals, and competitions from Rails 2 Riches to the Dirty Girl Mud Run. Plus theres plenty to do off the mountain including tubing, dinner excursions to the Ledgewood Yurt, snowmobile tours, sleigh rides, snow-shoeing, spa treatments, shopping and more than 100 restaurants and bars in the region. After the snow melts, Killington features an 18-hole championship golf course as well as 35 miles of hiking and mountain biking trails, plus the new Snowshed Adventure Center and Killington Bike Park. Stratton Mountain Resort is located on the highest peak in Southern Vermont with a 2,003 vertical drop and 97 trails and more than 100 acres of glades on a single summit for a total of 600+ acres of terrain. Eleven lifts include the summit gondola and four high-speed six-passenger chairs. With 95 percent snowmaking coverage, Stratton offers a “Great Snow Guarantee,” ski or ride for an hour (any day, any hour) and if you are not happy Stratton will give you credit toward another day. 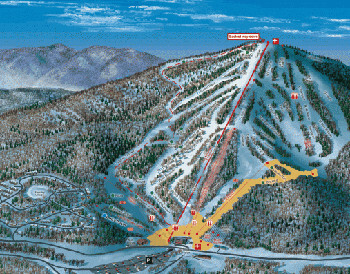 Magic Mountain Ski Area is a classic small, local Vermont ski area. Magic Mountain is home to challenging, amazing terrain as well as an authentic community vibe. The Mountain is laid back and friendly, and locals will always sit down to chat at the Black Line Brew Pub where the days stories are relived. The iconic Red Chair and its No Wind Holds motto access a variety of woods and unmarked skiing and riding. Local towns like Londonderry and Chester are home to plentiful dining and lodging options for guests. Vermont makes it easy to go snowmobiling. The state set the standard for well-marked trails, readable maps, easy access to fuel stops, food and accommodations. Since 1967, Vermont has been opening the doors to winter’s wonders with a remarkable trail system that now totals over 5,000 miles. With today’s modern, comfortable sleds, it’s easier than ever to experience the thrill of zipping along winding trails, take 200-mile day trips or multi-day tours, or take in ride-ins full of country flavor. 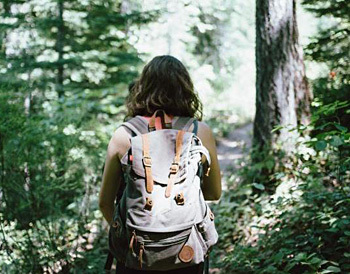 The VAST trail network is easily accessible from Crown Point Camping Area. Nestled in the beautiful Green Mountains, Diamond Run Mall is the shopping jewel of Rutland, Vermont. Experience the joys and comforts of shopping, dining and playing in a place where you feel right at home. In the mall you will find JCPenney, Sears, Kmart, the Spartan Arena, and over 50 specialty shops for your shopping, dining and entertainment pleasure. Green Mountain Sugar House is a red-roofed sugar house, just steps away from the water’s edge. Doug and Ann Rose, owners since 1985 (and Vermonters since 1955) make everything from maple syrup to maple candy to maple cream to mouth-watering maple fudge. The sugar house is also a Vermont country gift shop. Make the Green Mountain Sugar House a planned stop when you’re in the area. You’ll be glad you did! Quechee Gorge, known as “Vermont’s Little Grand Canyon,” is one of New England’s most popular natural wonders. Over 200,000 yearly visitors enjoy the Vermont Institute of Natural Science, fishing and canoeing the river, hiking trails, cross country skiing, and snowshoeing. Established in 1985, and located in the heart of the Quechee Gorge, Quechee Gorge Village has evolved into one of the best shopping attractions in the state of Vermont. Visit the Cabot Quechee Store, Danforth Pewter, Vermont Toy & Train Museum, Vermont Spirits, The Quechee Diner, Snow Farm Gallery, and much more! The Vermont Country Store, in Weston, invites you to step back in time and enjoy a leisurely stroll down memory lane. Wander their aisles stocked to the rafters with penny candy, Vermont maple syrup, award-winning Vermont cheeses from neighboring farmsteads, personal care remedies, household problem solvers, and more. You’ll enjoy finding such brands from the past as Tangee Lipstick, Buster Brown Socks, and Tinkertoys, just to name a few! Plan to make a day of it by visiting The Bryant House Restaurant for lunch or dinner, located right on the property. 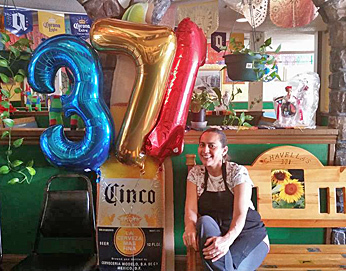 The 371 Restaurant is a popular, locally-owned restaurant serving Mexican, Italian, and Greek cuisine, as well as seafood! You will find pizza, burgers, grinders, calzones, Greek specialties, Italian favorites, salads, pasta, soup and appetizers on their extensive menu. The Blackrock Steakhouse, in Springfield, is a traditional steakhouse, but with a twist. Their steaks, chicken and seafood are also available served on “hot rocks”. Hot rock cooking is a totally unique and amazing dining experience! Entrees arrive at the table bursting with aroma, seared and sizzling on a hot volcanic stone! Hot rock meals are entertaining, healthy and incredibly delicious. Try an age-old European gathering custom. Go to the Riverside Restaurant for the food, but stay for the service and people. The restaurant offers free wi-fi and considers itself one of the best local restaurant for home cooked foods of all types. The menu includes steak, seafood, sandwiches, burgers, and more. Working with only the freshest local ingredients, The Inn at Weathersfield creates the best possible farm to table dining experience. Innovative preparations, unique flavors and a “fresh view of old world cooking” make every dish memorable. The inn offers an extensive wine list, wine pairing suggestions, and a varied list of wines by the glass to enhance your meal. A unique style of “casual luxury” means you will have the best possible service, ambiance, presentation and quality in a comfortable setting - without formality. The service is professional and polished, but not fussy. The informed, knowledgeable waitstaff will help link your dining experience from farm to table. In the Verterra Restaurant, the main dining room, Chef Jason Tostrup creates two prix fixe tasting menus that change weekly. The Vitality Menu (vegetarian, gluten and dairy free dining option) and Chef’s Verterra menu. In Lucy’s Tavern, there is a full a la carte menu. The casual New England style serves comfort food with both global and local inspirations as well as chalk board specials. Consistently popular since 1974, the Pot Belly is located in the village of Ludlow, near the base of Okemo Mountain. The restaurant strives to provide great food, from small plates to full entrée specials, with a fine wine selection. There are also menu selections for the lil’ bellies. The dining ambiance is pleasantly casual. The public is welcome at the Bellows Falls Country Club, a nine-hole golf course that dates back to 1923. The club features a clubhouse that is relaxing and includes a bar, restaurant, and pro-shop. It also has a screened porch off the clubhouse where members and guests socialize and watch play on the first, second, and ninth holes. The club boasts a friendly membership and staff and provides a golf environment for players of all abilities. This is an above average nine-hole golf course that offers numerous challenges to all golfers. Designed by William Mitchell and constructed in 1953, Crown Point is a member owned club with tee times available to the public. The course offers a great challenge for those serious about the game and a friendly atmosphere with breathtaking views for those out for a relaxing round. The undulating bent grass fairways and greens, brisk pace of play, and overall excellent conditioning will assure an enjoyable day of golf. The professional, friendly staff has an excellent blend of skills and a dedication to make your visit memorable. The John P. Larkin Country Club is one of central Vermont’s most relaxed and fun golfing experiences. The beautiful nine-hole course is located in historic Windsor, Vermont and boasts spectacular views and great golf for players of all ability levels. The Woodstock Inn & Resort Golf Club in Vermont has been named one of the world's “top 100 golf resorts” by Golf Magazine for a reason. It is an 18-hole masterpiece designed by legendary course architect Robert Trent Jones, Sr. This 6,000-yard, par-70 course is a challenging sequence of fairways, sand traps and water hazards guaranteed to test even the most seasoned golfer. Surrounded by breathtaking panoramic views of the Kedron Valley, the full-service Golf Club offers a pro shop, practice range, putting green, private lessons and clinics. Please note that Collared shirts and appropriate shoes must be worn at all times. Jeans, cut-offs, gym shorts, tank tops, t-shirts and fishnet shirts are not permitted on the golf course. The club requires the use of soft spikes. © Crown Point Camping Area.